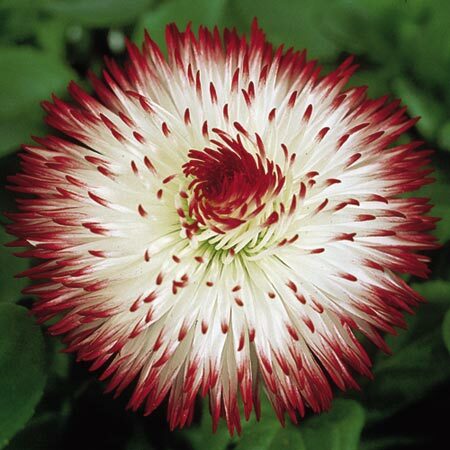 Often a favourite for early spring colour, this form is a real stand out winner with larger than normal flowers and huge numbers of thin pure white petals each with a striking red tip. Often being biennial it will also seed to provide colour year after year. Flowers March-May. Height 11-20cm (4-8"); spread 11-20cm (4-8"). Supplied in 9cm pots.